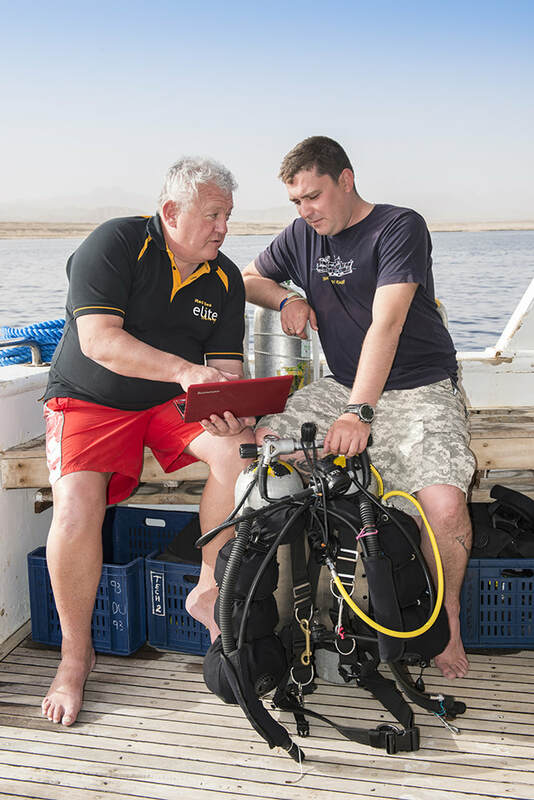 Specialist PADI courses and training with Divers United Centre in Sharm el Sheikh. The following PADI courses are designed so that the participant can gain a more in-depth understanding of various types of diving. These courses are a number of those available. The minimum requirement for all the courses is PADI Open Water or equivalent unless otherwise stated the participant must be at least 12 years of age. 35 Euros certification fee is payable locally upon completion of all these courses. Please use the form below to enquire about specialist PADI and BSAC courses. ​Just one giant step off the back and you’re in the water! The course includes two open water dives and is designed to help you learn the techniques and procedures for entering and exiting varying different types of boats. ​Accidentally drop something in the water? Looking for lost treasure? Learn effective ways to locate objects underwater with the Search & Recovery Diver programme. For this course you will need to be at least PADI Open Water with the dive credential of PADI Underwater Navigator or PADI Advanced. ​During your programme you will go on four open water dives, over at least a two day period, with time being equally divided between academic and actual water-training sessions. A variety of search and recovery methods will be covered including the planning, organisation, procedures, techniques, problems and hazards of search and recovery diving, limited visibility diving and underwater navigation techniques, techniques and considerations for object location and recovery using various lifting devices. ​This programme covers the basic knowledge and techniques involved in identifying fish species and the data collected is submitted to the REEF Fish Survey Project. 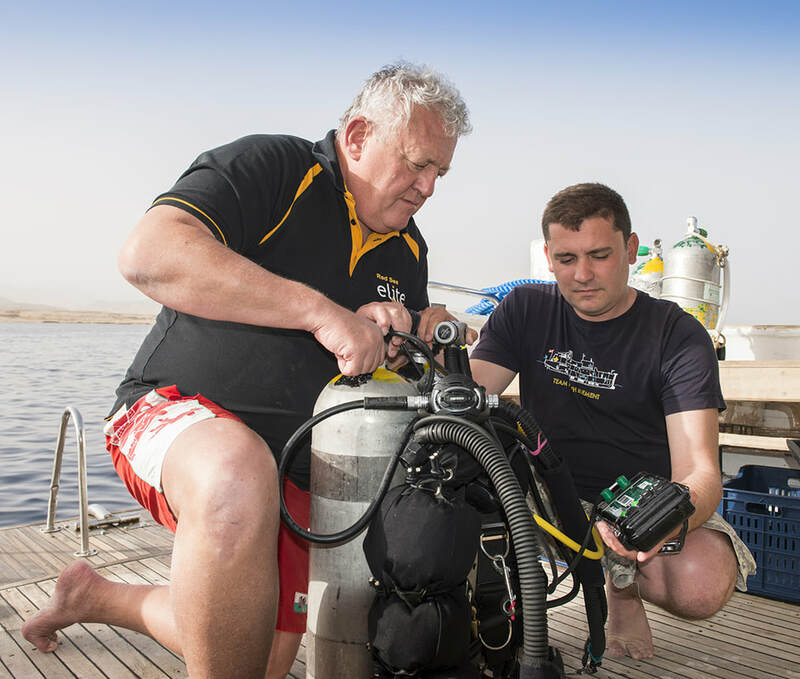 ​The fundamentals of this course include buoyancy check, fine tuning buoyancy underwater, weight, position and distribution, streamlining and visualisation. Also covered is the use of PADI’s Basic Weighting Guidelines. ​Hold onto your masks! Buoyancy control, navigation and communication whilst on a drift dive are addressed on this course. Also included are the planning, organisation, procedures, techniques, problems and hazards of drift diving. The course requires two open water dives which can be completed in one day. The PADI Underwater Naturalist course will introduce you to different aquatic life and include an overview of responsible human interactions with aquatic life. Topics include a basic overview of major aquatic life and groupings, basic aquatic interactions and associations, factual information that dispels myths of potentially dangerous aquatic life and diving techniques used to help preserve bottom dwelling aquatic life and minimise aquatic life disturbance. ​Even your local dive site offers a whole new adventure by moonlight! Take advantage of this extraordinary speciality and learn how to prepare night dive activities and develop your knowledge and techniques for night diving. ​The ups and downs of diving! To make sure you get the most out of your dive, you should learn how to plan and carry out a multilevel dive. Go on two open water dives and be exposed to a variety of different types of multilevel dive calculations. Start from scratch and learn how to take award winning pictures underwater. Learn tips and techniques from your instructor which you will then put into practice underwater. Capture your underwater adventures on film so you can share the thrill of diving with friends and family. Prices do not include camera hire. ​Want to go that little bit deeper? 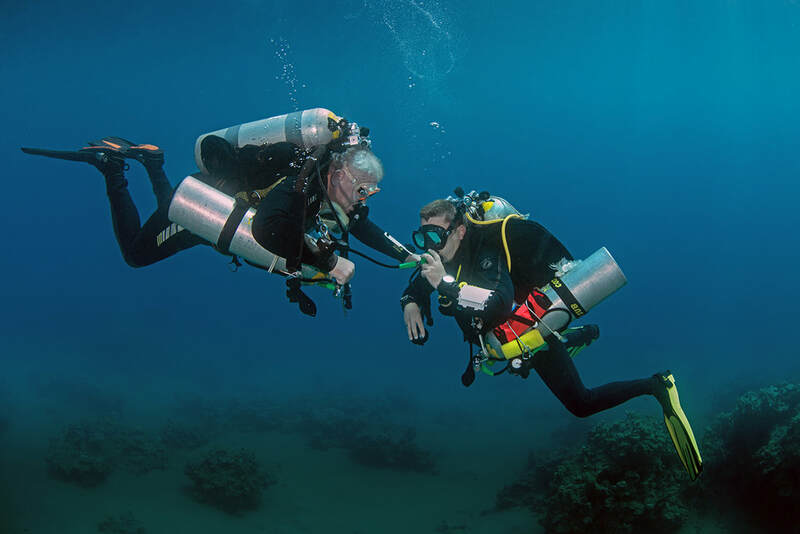 Learn all the skills associated with diving deeper inside the no-decompression limits. No dives will exceed 40m. Participants must be at least PADI Advanced and 15 years of age. ​Knowing where you are underwater and where you are going comes in really handy, especially if you are looking for an object or locating a particular reef. Over three open water dives you will familiarise yourself with the skills, knowledge, planning, organisation, procedures and techniques involved with underwater navigation. Techniques learned will include methods of estimating distances underwater, natural navigation, how to use underwater patterns, dive site relocation techniques and compass navigation techniques. Use this form to send us an enquiry message regarding Specialist PADI Courses.